Congrats on moving! Chances are you know how to put your things in a box, label it, tape it up…and so on. But in case you wanted to streamline your efficiency, we’ve put together this list of handy-dandy moving hacks to make your relocation just that much easier. 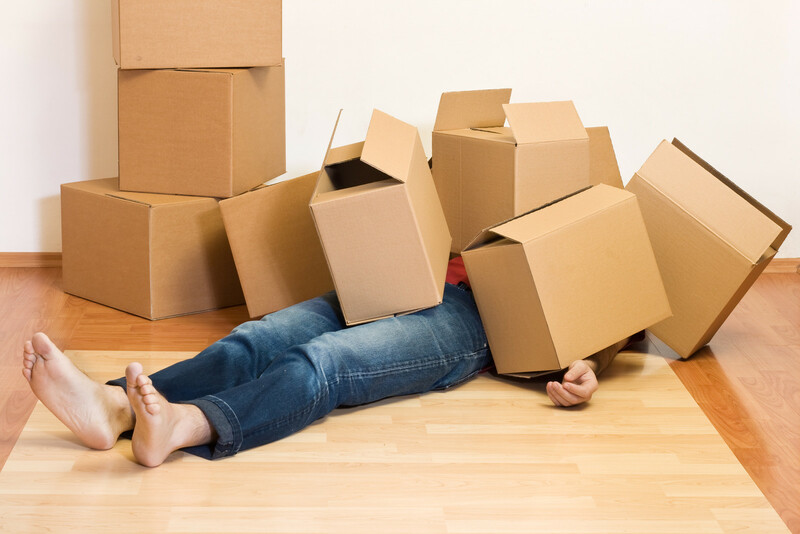 When you’re ready to take the plunge, give us a call and we’ll make sure you’re taken care of during your big move. If you’re able to, try to show up to your new place prior to the big move-in day and see if you can get some work done ahead of time. A great place to start would be to clean the bathroom and kitchen – that way, you’ll be able to hop straight in the shower after getting all those boxes in. To save yourself from cardboard box overload, try using any vessels you already own for packing. Anything goes here – suitcases, laundry bins, and even hampers are all fair game. Each repurposed item is one less cardboard box you have to get rid of later – bonus points if you can correlate the items you’re packing with the object you’re using to hold it. Labeling what’s in boxes is old hat! But in addition to writing what’s in a particular box, make sure you designate what room it’ll be going into. Then, you’ll be able to unpack boxes by room, which will feel way more doable. Room by room, you’ll be able to conquer all those boxes. Bonus hack: make sure you put the labels on the sides of boxes, not the top – that way everything will still be visible when stacked. If you’re not keen on spending $$ on a bunch of bubble wrap, or if you simply ran out…this hack is for you. Use all your bulky clothing (think sweaters, puffy jackets, etc.) as padding for your breakable items like plates. If you wanted to follow the “only items from same room in box” rule, you can use kitchen towels and linens. Pssst: also try to pack plates vertically, rather than horizontally. They’ll be less likely to break! That TV with a bajillion cords? Your desktop PC? Pull out your phone and start snapping. That way you’ll have a blueprint when it comes time to plug everything back in where it goes. If you’re renting, this step is essential for ensuring you get your security deposit back. 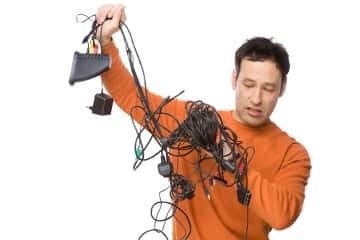 Before you start moving all your stuff in, take pictures of the condition of everything (note any warps in sheetrock, paint chips, or other common damage) so that you won’t be accused of the damage when you try to move out. Chances are you’ll be pulling out your dresser drawers anyways to make moving them easier. If you’re able to do so, leave your clothes in the dressers, and simply use a sealing wrap (like Press’n Seal) to keep everything in place. This will save you doubly – you won’t have to take the clothes out, refold them, and put them back in later. Win-win!